Popular history sometimes seems the intellectual equivalent of a child’s bedtime story—it thrives on repetition. The most common genre, often biographical, tells the same story about the same famous people or the same event, over and over again: the founding fathers, Lincoln, Custer, Teddy Roosevelt; Teddy Roosevelt, Custer, Lincoln, the founding fathers. The second genre—there are, I think, only two—is often written by men, some of whom are professors. It promises to provide the only history book that you will ever have to read, because it explains everything from the Neolithic until tomorrow. A History of the Mandan People. Elizabeth Fenn’s Encounters at the Heart of the World is part of a small renascence in historical writing. Some of the most interesting of these new counternarratives—most of them written by women—move purposefully against the grain of popular history, much of which seems to be consumed by men. These historians also seek a popular audience, but they are uninterested in attracting readers with the usual bait. They write about unusual and uncommon topics. They juxtapose people, places and events not usually considered together, but whose pairing seems obvious once it is made. They certainly do not claim omniscience. Their histories are often tentative; they are persuasive because they acknowledge the limits of evidence, while displaying a kind of virtuosity in their ability to work from fragments. The authors often insert themselves into the narratives, so that the reader gets a sense of how the history has been fashioned. But for all their presence in the text, the history is never about the historians. They are as interested in finding different ways to tell a story as they are wary of claiming too much certainty. The authors I’m thinking of have hit their stride, having already published more than one book. The best-known and most prolific of their number, Jill Lepore, has written most recently not about Benjamin Franklin but his sister Jane. In her book Plutopia, Kate Brown juxtaposes the towns of Richland, Washington, and Ozersk, Russia—an obvious coupling, once it is made, of the places that produced plutonium in the United States and the Soviet Union. Conevery Bolton Valencius writes not about the San Francisco earthquake of 1906, but the New Madrid earthquakes of 1811 and 1812. And Fenn, in Encounters at the Heart of the World, offers a history of the Mandan Indians, who usually merit only a footnote in the standard historical narratives. Americans know the Mandans, if they know them at all, as the people who hosted Lewis and Clark during the first winter of their famous journey of exploration. By then, Mandan villages had been at the center of life on the northern Great Plains for roughly three centuries. Fenn traces them back even further in order to explore a millennium of North American history. The Mandans did not dominate this history; they were not conquerors. They were farmers and quite peculiar traders. By and large, they did not travel. Instead, they waited for the world to come to them. The past is a crowded place, and any historian has to answer two basic questions: Why tell this particular story, out of all possible stories about the past? And why tell it in this particular way? Fenn is explicit, if brief, about the first. She goes to North Dakota, the middle of the Mandan world, for a very old American reason: she thinks something is missing from contemporary American life, and she believes the Indians know what it is. She has sensed that “the Mandan story provided an alternative view of American life both before and after the arrival of Europeans.” Her musings have the whiff of the spiritual seeker, and insofar as this is the case, it is a problematic reason to come to Indians, although hardly an uncommon one. But Fenn avoids most of the traps of a pilgrimage to the Indians because she is such a good historian and storyteller. What she wants to do is use the Mandans to frame a narrative that does not turn American history into the foreordained progression of “Westward the Course of Empire Takes Its Way.” She wants to destabilize the American narrative in terms of origins, in terms of time—it does not begin in 1492—as well as space: it does not radiate out from Jamestown, or Plymouth, or even St. Augustine. She wants to avoid a Whiggish view of history, which is ultimately a story of the inevitability of the present. She wants to restore possibilities that the past contains by returning to a time when the present seemed far from inevitable. This is a book full of guns, germs and steel, but it is in many ways the opposite of Jared Diamond’s Guns, Germs, and Steel. The story Fenn tells, one of many potential stories, centers on the confluence of the Heart and the Missouri rivers. There, the Mandans rise; the Mandans fall; the Mandans persevere. How they did so tells much about the intricacies of the continent’s history as well as the Mandans’. The writings of explorers, traders, archaeologists and government officials account for most of Fenn’s sources, but she wants to take her stance not with them as they “discover” the Mandans, but rather with the Mandans themselves. Fenn is neither a Mandan nor, despite her book’s epilogue with its ambiguous “we,” does she pretend to be. Instead, she takes her stance in Mandan country, the heart of the world. She has written a profoundly spatial history rooted in a place made by the Mandans and their neighbors, the Hidatsas and Arikaras. In Mandan stories, when Lone Man encounters First Creator, the latter proclaims that the Heart River is “the heart—the center of the world.” And it nearly is, at least if the world is confined to North America. The confluence of the Heart and the Missouri, just west of the hundredth meridian, is 120 miles southwest of Rugby, North Dakota, which is the geographical midpoint of North America. Today, it is a different kind of center: the focus of the Northern Plains shale-oil boom. The book begins not with the Mandans coming to their homeland, but rather with Fenn arriving in August 2002 at the Fort Berthold Reservation, where the Mandans, Arikaras and Hidatsas form the Three Affiliated Tribes. She has gone there “just to see if it felt right.” In the narrative, Fenn’s journeys within Mandan country become the spatial equivalent of the Mandans’ journey through time. Together, they form the book’s warp and weft. Once the Mandans reached the Heart River around 1500, they remained largely in place, moving relatively short distances up and down the Missouri between the Heart and Knife rivers. Their journeys beyond their core homeland are uncertain. It is unclear if the “Mountain” (or Mayatáni, or Mayatána) Indians who traveled north to York Factory on the Hudson Bay around 1715 were either Mandans or Hidatsas, and if they were, how it happened that they—a people who used bull boats made of bison hides—so quickly mastered the birchbark canoe technology necessary to carry them there. Later, Sheheke, a Mandan chief, did travel to Washington, DC, but the journey had unfortunate consequences: he never quite found his place in the Mandan world again and ended up being killed by the Hidatsas. They excelled as farmers. Women worked the fields, and corn was the center of their commerce, which was a complicated mixture of gift exchanges, theft and barter. Despite being a little too eager at times to reduce the complexity of these exchanges to a straightforward bartering, Fenn on the whole is extraordinarily good when using the elements of this trade to flesh out the dynamics of the Mandans’ world. Although Mandan trade always included goods and peoples to their east and west, the Mandans operated in a North America whose axis was north/south. The critical connections were to the south, where goods moved hand to hand and people to people from as far away as the Pueblos and perhaps Mexico. Ultimately, horses became the staple of this south-to-north trade. Trade connected the Mandans with the Assiniboines to their north, and eventually to the British at York Factory on the Hudson Bay and the French with Canadian forts. The Americans sought, and eventually succeeded, in shifting this axis so that it ran east/west, but that happened late in Mandan history. Much of what the Mandans traded (corn, bison meat, squash and horses) connected them quite intimately to the natural world, and Fenn, who is among other things a skilled environmental historian, adeptly embeds the Mandans in the blooming, blossoming, howling realm of other species, just as she skillfully integrates into the story the species that undercut and nearly destroyed the Mandan world: smallpox and the Norway rat. Fenn has already written a quite impressive book on smallpox, Pox Americana, which covers the history of an epidemic in North America between 1775 and 1782. It devastated the Mandans, Arikaras and Hidatsas, and left them exposed to an even more catastrophic blow by not returning for more than fifty years, creating two generations of Mandans with no immunity to the disease. The Norway rat is a more surprising story: rats migrated up the Missouri with the European settlers and were an environmental disaster for the Mandans. The Mandan towns, with their buried granaries, were as near to paradise as Norway rats could hope to find outside large cities. In the granaries they feasted on Mandan corn, which hurt Mandan trade and put the Mandans closer to the edge of hunger in a world closing in on them. For historians, an attractive feature of exotic species—rats, smallpox and horses—is that they have chronologies. At one point in Mandan history they were not there, and then they were. And when they came, things changed. This makes them good markers for historians to think with, but because many of the texts and artifacts related to the Mandans do not have a clear chronology, there are limits to using them to tell a larger story. In part, this is a result of the evidence, fragments whose antecedents and consequences do not exist. In part, it is the result of how nineteenth- and some early twentieth-century ethnographers gathered evidence. Because they considered the Mandans, like other Indian peoples, as primitives—a people without history—they conceived of them as essentially changeless. Because they assumed Mandan culture was timeless, they thought it could only stay the same or break apart and be discarded. The ethnologist’s goal was to capture beliefs and knowledge that would otherwise be lost. Some older ethnologists regarded ceremonies and stories not so much as the instantiation of evolving history visible at a particular time, but rather as so many wormholes into and through a timeless and changeless past. The problem of turning such material into a history is encapsulated in the town, or rather the archaeological site, of Double Ditch, originally constructed by the Mandans when they arrived in Heart River country in 1500. It is the only fully extant Mandan site that dates from their arrival. There was no contemporary chronicler of Double Ditch; we know the town only through its remains, as interpreted by modern archaeologists. Double Ditch was a large, fortified village of closely packed lodges with fields running for miles along the river. It contained up to 2,000 people, indicating a total Mandan population of at least 10,000 to 12,000. There may have been as many as 20,000. Because it resembles the historic Mandan towns of the late eighteenth and early nineteenth centuries visited by Europeans and Americans, some archaeologists have been keen to see Double Ditch as the prototype for the “traditional” Mandan town. The existence of only fragmentary materials between 1500 and the late eighteenth century makes it tempting to reduce the intervening period to an ellipsis and assume that little or nothing had changed. It is only one more step to defining the years before extensive contact with the Europeans as the epitome of the traditional or “real” Mandan life. And, logically, if nothing much changed, then archaeological evidence, accounts of European visitors in the eighteenth and nineteenth centuries, and ethnographies compiled in the late nineteenth and twentieth centuries are all more or less recording a single cultural moment. This was the common position of much nineteenth- and twentieth-century ethnology. In 1965, Gene Weltfish, an anthropologist who lost her position as a lecturer at Columbia University when she was blacklisted during the McCarthy era, published The Lost Universe. A student of Franz Boas, Weltfish had begun her research in the 1920s, drawing on archaeology, old travelers’ accounts, the letters of missionaries and agents, and the accounts of aged informants. Like Fenn, she painstakingly re-created the material, social and ceremonial life of the people she studied. She, too, worked with fragments, but Weltfish did not produce a historical account; instead, she tried to re-create, as her subtitle had it, “the way of life of the Pawnee” as it would have been in 1867. She detailed the everyday life and ceremonies of a single year. She assumed that, in that year, Pawnee culture was largely intact, and thus 1867 could stand in for a “traditional” Pawnee way of life. Weltfish wrote largely in an ethnographic present. Like Fenn, Weltfish sought “a New World life and a new and unfamiliar dimension in the human spectrum” that would allow Americans to “look at our own life with new eyes and be better able to perceive new paths to our own tomorrow to become the New World people that we really are.” The Lost Universe was part of an anthropological attempt to create “a science of society.” Weltfish ended the book with detailed lessons that she thought the Pawnees, as people who “were spared certain distortions of the human personality that have accompanied our mass industrialization,” could teach Americans trying to live in a postindustrial society. They were noble savages and had what other Americans lacked. For all the ways that Fenn’s motivation resembles Weltfish’s, her account is much different. It is a history; she doesn’t posit an essential Mandan culture; there is no typical year. She emphasizes this in her text, and it is integral to how she forms her narrative. A chapter such as “Customs: The Spirits of Daily Life” could have ended up as an exercise in describing the ethnographic present, a timeless traditional world, but Fenn instead emphasizes a world in flux. Not only, for example, does she explicitly state that “Mandan spiritual life was fluid,” but she organizes the chapter to emphasize the fluidity: it jumps from Fenn at Mih-tutta-hang-kusch in 2009 to Fort Berthold in 1929–33, when an anthropologist, Alfred Bowers, worked with Indian informants, among them a Mandan, Crow’s Heart. 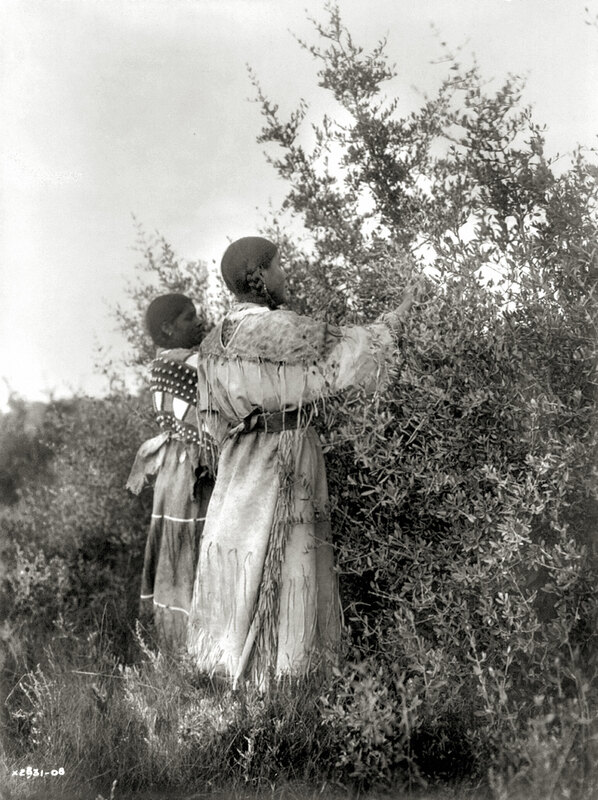 She then turns back to another town, a mixed settlement of Mandans and Hidatsas called Like-a-Fishhook, in the winter of 1861, when a trader, Henry Boller, reported how the women of the White Buffalo Cow Society attempted to summon bison. This is not timeless or seamless knowledge; it is situated in a time and place. This is how historians re-create things, fragments retrieved from the centuries always in the midst of flux and change. When Fenn considers the Okipa, the great renewal ceremony of the Mandans, she has no desire to discover its original pure form. She admits “it is impossible to say what the first rites looked like.” The Okipa, Fenn insists, was “supposed” to change as the Mandans changed. Fenn takes the same approach when discussing material culture. Corn has been critical to the Mandans from the beginning, but what is known about farming among them and the Hidatsas comes from the accounts of a remarkable woman, Buffalo Bird Woman, gathered in the early twentieth century, and so Fenn’s narrative jumps abruptly to include her not as a timeless vestige of traditional agriculture, but as a woman telling what she knows and how she knows it. There are moments when Fenn strains too hard to narrate the periods during which much about the Mandans is unknown. She is one of the few scholars to think, for example, that Letter 16 of the Baron Lahontan’s New Voyages to North-America, which details his travels west of the Mississippi during the late seventeenth century, is not a fabrication made up from the oral accounts of other voyageurs and his own imaginings. It fooled eighteenth-century cartographers, who entered the Rivière Longue—which does not exist—on their maps; Fenn identifies it with the Upper Missouri. After Lahontan had fled his Canadian post and returned to Europe, he turned to writing to recover his fortune. He wrote a letter to the French court from Hamburg, claiming to have met survivors of the La Salle expedition there. Finding himself caught in a small lie, the French aristocrat was nevertheless clever enough to know that larger ones would have more hope of success. Apart from Letter 16, New Voyages was an entertaining account of his actual experiences in North Americas. But in Letter 16, Lahontan met the Essanapes, whom Fenn suggests were the Mandans, and the Gnacistares, whom Fenn interprets as the Hidatsas. Lahontan claims to have been mistaken for a Spaniard, and he in turn mistook the Indians (whom he called the Mozeemleks) for Spaniards because they were bearded and fully clothed. The Mozeemleks lived near a great salt lake, where they had six noble cities and 100 towns. Fenn suggests these were peoples of the Northwest Coast. Chardon becomes a Cheshire cat: his presence recedes but his voice remains in Fenn’s text. It is his voice and his journal that records the speech of Mato-Topé or Four Bears, dying of smallpox. Four Bears had been a friend to the Americans, but he was no longer. “I do not fear Death…. But to die with my face [so] rotten, that even the Wolves will shrink with horror at seeing Me, and say to themselves, that is the 4 Bears the Friend of the Whites.” Four Bears regretted it all; he died hating the Americans as his “Worst enemies.” They were “a set of Black harted Dogs.” Excising the vituperation, the callousness and the seeming indifference with which Chardon chronicled the Mandan holocaust is a conscious decision on Fenn’s part. She is an artful writer, and Encounters at the Heart of the World is a carefully constructed book. It is as though, after 300 pages, Fenn does not want the Mandans cursed into their grave, nor does she want to divert attention from them to the man who recorded their greatest tragedy. But, of course, the Mandans were not used up. They have survived, and in her book’s epilogue, Fenn offers an account of her participating, along with other non-Mandans, in the Okipa. It was the first time the ceremony had been held, she says, in well over a century. On my first reading, this ending seemed off-key and off-putting, but I have since changed my mind. The Okipa had earlier included non-Mandans, and, as Fenn emphasizes, the Okipa changes. In that respect, the epilogue is true to the book. It can be read not as the story of a seeker’s achievement of inclusion, but rather of the continuing cosmopolitanism of the Mandans and their ongoing participation in a larger North American history. Richard WhiteRichard White, the Margaret Byrne Professor of American History at Stanford University, is the author, most recently, of Railroaded: The Transcontinentals and the Making of Modern America.